Thanos has arrived and the war has definitely left its mark on our heroes, but most of all it has left a mark on us, the fans. The Russo brothers have succeeded in balancing all the characters and giving us a great arc for a villain that we really knew nothing about up to this point. The film marks the beginning of the end for a journey that goes all the way back to 2008. The journey has been long and the destination exceeded all expectations. The storytellers do an amazing job of balancing all the characters by splitting them up into smaller groups. This approach works well as it makes the movie feel less crowded than it should. The actors do a fantastic job, as always, at bringing their characters to life. The real shining moment is getting the Guardians of the Galaxy and the Avengers together into a single movie. Up to this point in the story all we really knew of Thanos is that he wants to collect the Infinity Stones. This film finally gives us a real backstory for the character, which makes Thanos the star of this story. Josh Brolin does an amazing job as the Mad Titan. He brings a real weight to a role that was created entirely in cg. Brolin’s portrayal almost makes you sympathize with Thanos and definitely helps us understand why he wants to wipe out half the universe. All in all, this movie brings everything since Iron Man full circle and changes the MCU forever. We have spent 10 years getting to know these characters and as such the movie doesn’t have to waste any time showing us their motivations. Captain America and Iron Man have been ready for something like this to happen since aliens rained down death and destruction way back in the first Avengers. 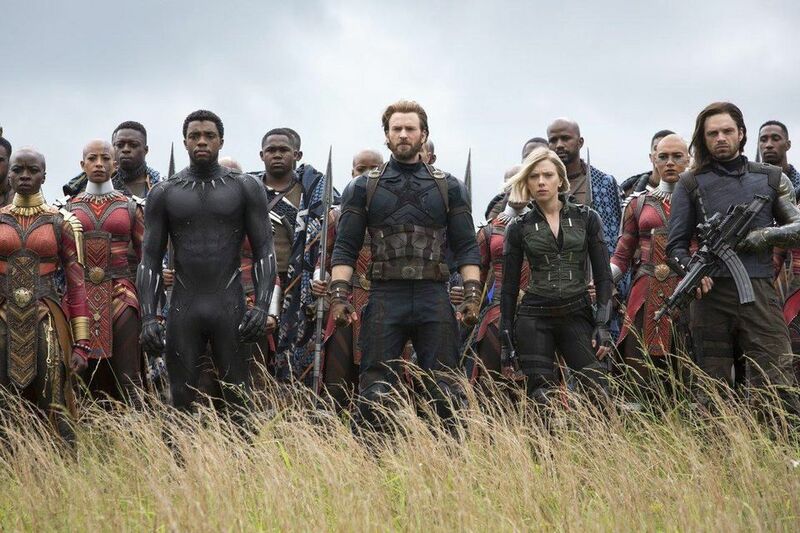 The new Avengers, Black Panther, Doctor Strange and Spider-Man fall right into their roles with the rest of the heroes defending the planet from Thanos and his children. Ebony Maw, Black Dwarf, Corvus Glaive and Proxima Midnight are a truly terrifying sight to behold. These Children of Thanos are inspired by the Black Order, characters that first appeared in Jonathan Hickman’s Infinity comic series. The movie also takes inspiration from Jim Starlin’s Infinity Gauntlet, a six issue series from 1991. Marvel has done a great job over the years at using their stories as a framework for the movies. This allows the comic fans to still be surprised by the events they see, and as a comic fan myself, I can say Infinity War does not disappoint in this regard. It is full of twists and turns and literally left me speechless by the time the credits rolled. Stay for the one post credit scene as well. It’s definitely worth the wait. I’m glad to say that this film exceeded all my expectations. It had the highest grossing opening weekend in history, bring in a whopping $258 million. That record was previously held by Star Wars The Force Awakens. 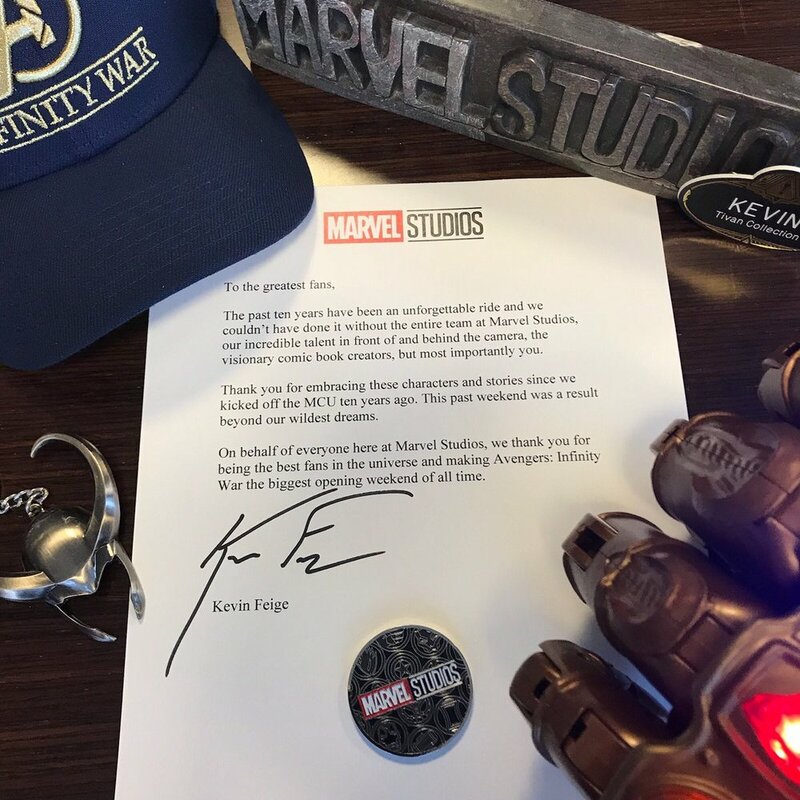 Kevin Feige and the folks at Marvel Studios have blown us all away, and we still have part 2 to look forward to in 2019. Infinity War is a roller coaster of emotion and action from beginning to end. The Russo brothers previously directed two of the best Marvel movies to date, Captain America Winter Soldier and Captain America Civil War, and they have added a third to the list with this one. Questions that we have had for nearly a decade are answered and team ups that we have waited to see for just as long finally come to the screen. Keeping this universe as interconnected as it is has been no small task. In this regard, it has brought the comic continuity that fans have loved for so long to the screen in a way we could have never thought possible. I personally cannot wait to see what the next ten years will bring us.